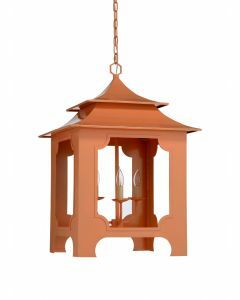 Add pagoda style to your home with this chic cream and blue tole lantern. It is made of iron and measures 22w x 22d x 33h. Click on image for greater detail. Usually ships in 2-3 weeks .